Turns out, Luke Cage isn't bulletproof afterall. 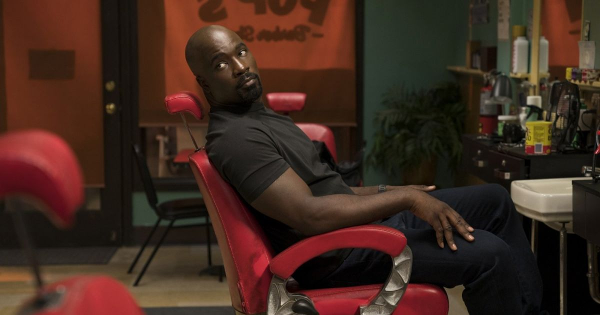 Netflix has pulled the plug on Marvel's "Luke Cage" series after two seasons, just one week after "Iron Fist" was canceled. One of our fave series is gone! Several Marvel series have been axed from Netflix. Only "Daredevil," "Jessica Jones," and "The Punisher" remain. New thriller Halloween opened in theaters Friday and there are tons of billboards up to promote the film. However, one billboard was altered, replacing serial killer Michael Myers with congresswoman Maxine Waters. 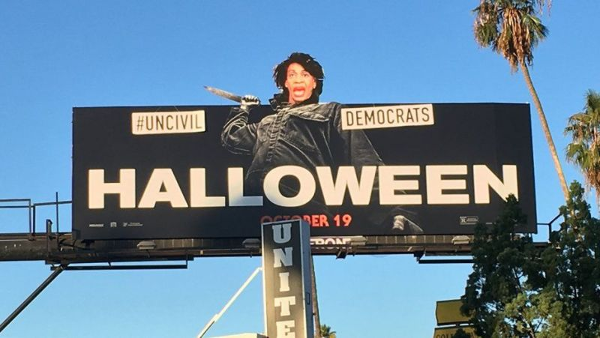 The billboard, on Pico Boulevard in West Hollywood, depicts a picture of congresswoman Waters holding a knife in her hand with the phrase "#Uncivil Democratas" written on it. So classless. SABO, the street artist who altered the billboard, told The Hollywood Reporter "that the text he added to the advertisement is a reference to Waters telling a crowd in June to make things uncomfortable for President Donald Trump and his Cabinet members." "We have some members of Congress who are intimidated. I have no fear. I’m in this fight," she said. "There are those who are talking about censuring me, talking about kicking me out of Congress, talking about shooting me, talking about hanging me. All I have to say is this: If you shoot me, you better shoot straight. There’s nothing like a wounded animal…They dare me to say impeach him. Today I say Impeach 45." This street artist TRIED it. November 6th is coming. VOTE.